With a CRT that big, the kid is probably being vapourised by radiation. 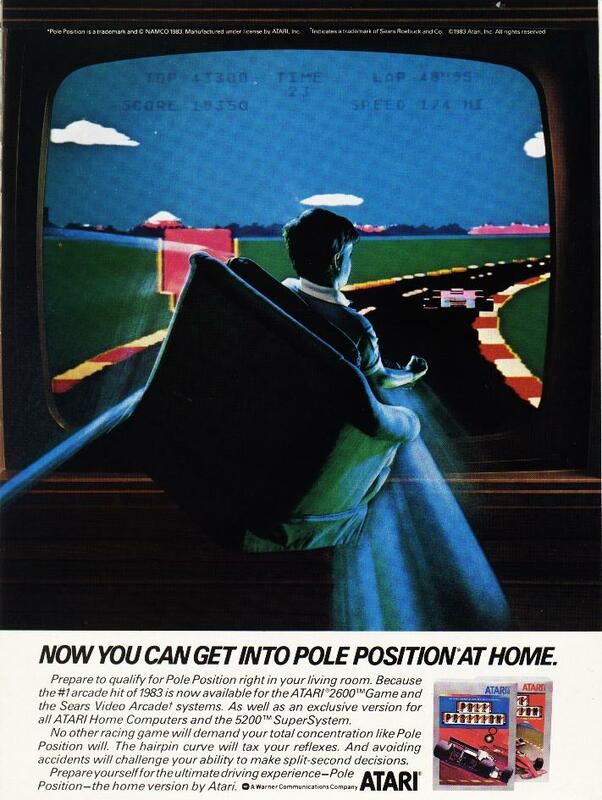 Pole Position was originally developed by Namco, but was brought home by Atari for the 2600 and 5200. There’s actually a cartoon spin-off with the same name that has very little to do with the game.